Iain Polworth had been in charge of Clach since August 2008. Following his resignation last night, which ended the longest managerial tenure in the Highland League, Polworth felt he had left no stone unturned in his quest for success at Grant Street Park but felt someone had to be accountable for their recent results. Clach have won just one of their first eight league games and were beaten 4-0 in the Scottish Cup first round by Rothes at the weekend. The decision to quit was one of Polworth’s own making but not one he took lightly. He said: “It’s quite clear that results haven’t been what we hoped for and someone has to be accountable, so I’ve decided to make myself that person. There was no pressure from directors or anyone else but something had to change, so I have made the change to try and kick-start the season for them. Polworth had six years as a player with Clach, winning the league in 2004, and also turned out for Aberdeen, Inverness Caledonian and Elgin City in his playing career. 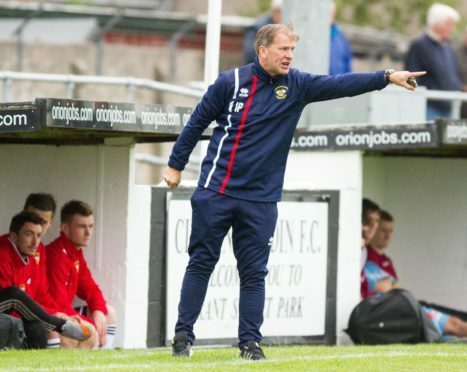 He took over as manager in 2008 after a spell as a youth coach at Caley Thistle. The 50-year-old has nothing lined up and expects to spend more time watching his son Liam play for the Caley Jags. He picks out the tough period when Clach were in administration as one of his highlights, as well as some memorable cup achievements. Polworth added: “To go from being £250,000 in the red to balancing the books is unbelievable. That wasn’t about me – if it wasn’t for Alan Savage, there would be no club.